We are very appreciative of our returning clients; every year working hard to further our learnings and relationships. We love what we do and are driven to share the importance of experiential outdoor education with our ever growing community. We hope to share these values and passions with our future clients and friends. 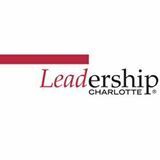 Every year, Leadership Charlotte begins a 10 month endeavor with a group of 55 strangers. Within a 48 hour period, our goal is to create trust, integrity and accountability that will last for months and years to come. For the past 8 years, our partnership with Blue Ridge Learning has successfully developed these strong bonds that have sustained classes throughout their time together. In fact, many of our alumni maintain a strong pride within their ropes course groups.